Expansion of the story "The Night of Light" (1957). See also the collection Father to the Stars. Every seven years, for one night, the peaceful planet Dante's Joy becomes both hell and heaven. All who stay awake and take the Chance become what their inmost longings dictate: a beast howling with lust or depravity, or a godlike being flowering in truth and light. Thousands are transformed into monsters, and others find perfect happiness. Those who are afraid to take the Chance escape by lying drugged in the Sleep. John Carmody, a conscienceless exile from Earth, arrogantly chooses to take the Chance. The Canadian 'second printing' has exactly the same data, it only states 'Printed in Canada'. The cover of the third printing has a light yellow border. The covers of the fourth and fifth printing both have a dark brown border. The scan is of the fourth printing. First hardcover. Black cloth boards with silver lettering on the spine. A photographic reprint - including the copyright page - of the 1966 Berkley Medallion edition. The second printing according to the book, it's actually the sixth. The sixth and seventh printings according to the books, they are actually the seventh and eighth printings. According to the book this is the fifth printing of the October 1977 edition. It is actually the ninth Berkley printing. 'First Edition' stated on the copyright page. 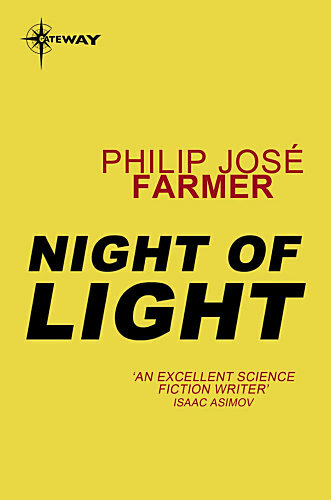 With an introduction, "In the Alien Corn: Philip José Farmer and the Other", by Christopher Paul Carey. Omnibus, together with Fire and the Night and Jesus on Mars. France-Marie Watkins, Arlette Rosenblum & Michel Deutsch; original translations revised by Minos Hubert. The collection includes all stories of the Father John Carmody series, see Father to the Stars. With an introduction by Riccardo Valla. Two novels by Farmer in one book, the other one is Dare. With an introduction by Riccardo Valla. Dark blue cloth boards with white lettering on the spine. The collection includes all stories of the Father John Carmody series, see Father to the Stars. With an introduction by Riccardo Valla. Paperback with a dustjacket. The collection includes all stories of the Father John Carmody series, see Father to the Stars. With an introduction by Riccardo Valla. The collection includes all stories of the Father John Carmody series, see Father to the Stars. With an article, "Fantascienza e religione", by Riccardo Valla and a fourteen page long Italian PJF bibliography, compiled by Ernesto Vegetti. Omnibus, together with Dare. Night of Light is not mentioned on the copyright page, there is no table of contents, but the omnibus starts with this novel. Omnibus, together with two novels by Andre Norton, Catseye (Всадник с Вордена) and Secret of the Lost Race (Сокровище таинственной расы). Pictorial boards. Omnibus, together with the novels The Wind Whales of Ishmael and Flesh and the collection The Alley God, plus an extra story "Open To Me, My Sister". Omnibus, together with Dayworld Breakup, The Green Odyssey and The Gate of Time. Joined publication of two publishers (Troll and Yuventa), together with publisher Nauka. Pictorial boards. Omnibus, together with Father to the Stars and Inside Outside.